During the fabulous and NEH-funded summer institute Computer Simulations in the Humanities I gained first hand experience in conceptualizing and coding agent-based models. And ultimately learned how difficult they are to apply in the historical disciplines. Still, it is not impossible! I have started to compile a bibliography of models in History and Archaeology. Any suggestions are welcome! 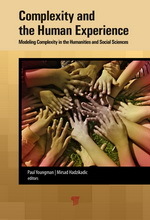 Presentation: Agent-based Modelling, Counterfactual Thinking and the Historical Method at HumanComplexity 2012, June 2012 at the University of Charlotte/USA.